So we all love a good beauty purchase and I do too, just like the rest of them... and as you can see, I've been shopping! I picked all of these up a while ago but wanted to give them all a go before letting you know my thoughts. 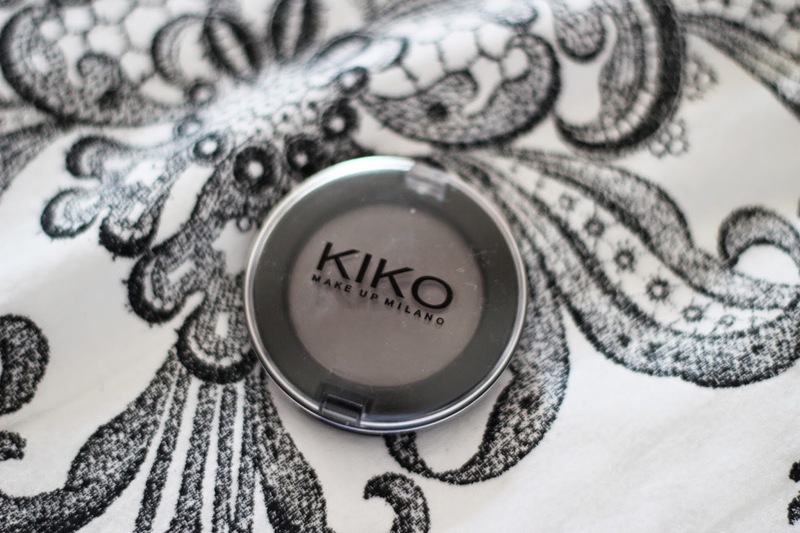 I'm talking drugstore beauty (and one shadow from KIKO) and what's better? They were all discount beauty buys... Boots 3 for 2, I'm looking at you. First up and I'm talking skincare. I used to be a total face wipe fiend, no matter what anyone said the ease of them just meant that I'd keep on using them. But then the Micellar water came into my life and at first I used the L'Oreal one and it was lovely, but it went down SO SO quickly. Meaning it worked out pretty expensive... Reluctantly I went to repurchase as it was so great for my sensitive eyes and voila! 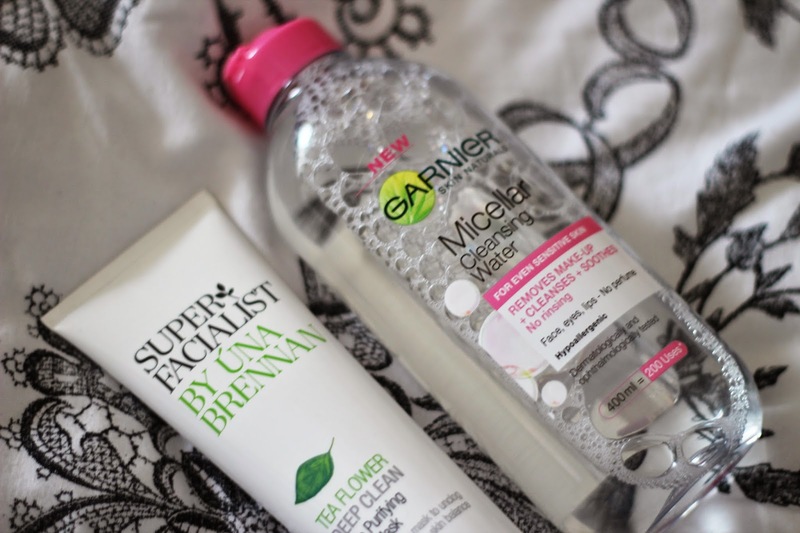 The Garnier Micellar Cleansing water was staring at me and had so much more in for around the same price. There was no question, I had to try it. I was a little nervous at first, but it feels essentially the same and if it means its even more purse friendly, then I'm happy with that... Onto the next product and I picked up the Tea Flower Deep Clean Clay Purifying Mask from Super Facialist by Una Brennan and this skin saviour had been on my wishlist for a long time. I wanted a more budget mask to stop me using all of the Aesop Parsley Seed mask - a beautiful beautiful mask, but not so great on the bank balance... And although this mask isn't as nice in my opinion, it's a lovely mask to use in between your favourite one. A 'filler' mask if you will... It leaves my skin feeling uber soft and clean and I am happy with that. I doubt I will repurchase once this tube has gone though, but who knows, I'm forever changing my mind. Now we're talking hair and I am forever after those volumized hairstyles that last! My flat hair is super prone to dropping, I'm talking curls and volume, nothing will last and although the beauty blogger in me wanted to pick up the Oribe Dry Texturising Spray, the student in me just couldn't afford it, so I had to pick up some drugstore dupes to see whether they help my lack lustre hair at all. There is one love and one leave... but that's okay, I mean, if you love one it's okay not to love the other so much, right? The Toni & Guy Casual Rough Texturiser looked so promising, a beautiful tube, I am so in love with the sleek packaging and the Matt finish only sounded amazing but for my flat hair, it just didn't do enough. Once applied it freshened it up a little but just didn't do enough to justify the slightly pricey price tag for a drugstore product. The Charles Worthington Salon at Home Volume and Bounce texturising spray is the one. It volumises my hair, gives it texture and it holds a lot longer than most. It does drop after a little while but that's just my uber flat hair and nothing a hair juuz can't fix and another quick spray. It leaves a funny product filled texture to the hair so I leave this one for evening events and nights out so I can wash it out when I get back, but it is oh so worth it and if your looking for a little bit of oomph, then you need to give this a go. Now I'm not sure if you know, but for a long while now I've been a bit of a base-a-phobic. Nothing worked with my skin, it made it look super dry and the colour match just never seemed to be right but then I decided to bite the bullet and pick up not one, but three bases. 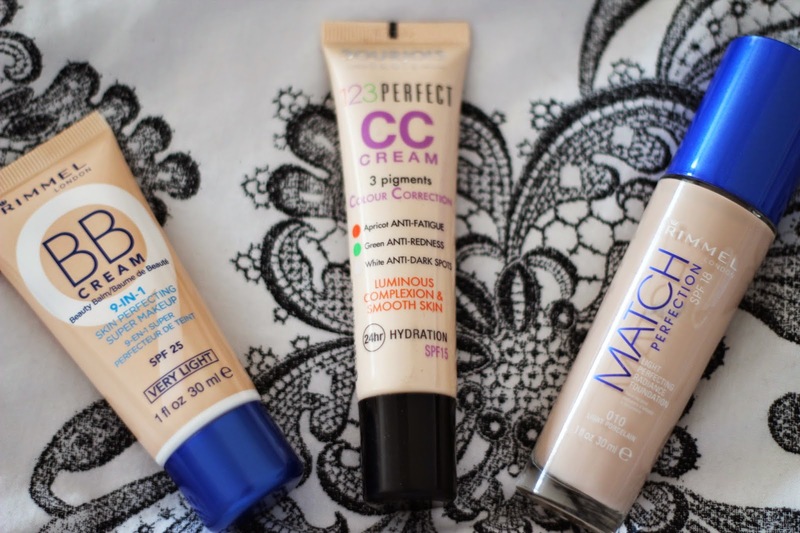 I went for a foundation, BB cream and CC cream just to try them all and by buying one of each, well, I could justify it, you know? I had such high hopes for the Bourjois CC Cream after hearing about how amazing it was from every blogger and their dog... and the texture was so nice but the colour, oh the colour was just that bit too dark. It had a slight orangey tinge and it just doesn't work with my skin at the moment. This was such a disappointment, but all it does mean is that I need to get my tan on, right? 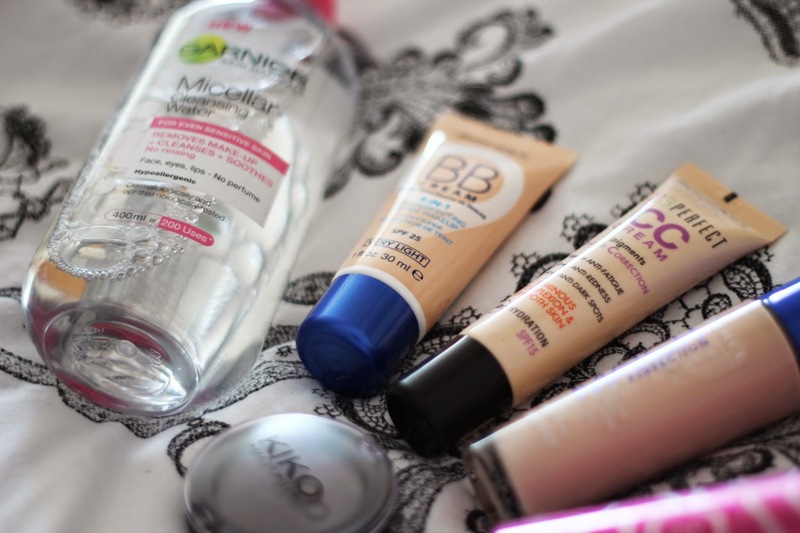 lovely post, i love the Una Brennan face mask! Great buys, the Rimmel foundation and that CW texturising spray are two of my fave products atm, I love them!